The natural way to perfect lawn! Despatch: From 13th August 2019. 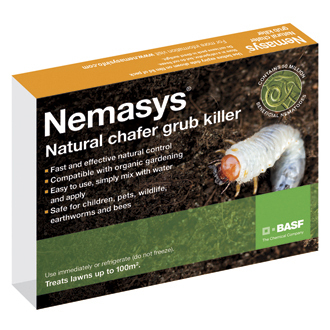 It is a natural product containing microscopic worms (nematodes) which seek out and kill chafer grubs feeding on grass’s roots. - Apply to moist lawns during August through to October, water well for at least two weeks. - It is safe to use and harmless to children, pets, birds and wildlife. Please note that the next despatch date is August 2018.